Click here to find your new playground using our playground equipment filter. 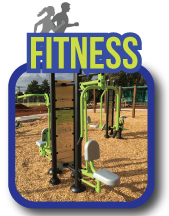 Or click on one of our playground or fitness equipment icons below to narrow your search. We have over 2000 3D playground designs in our playground equipment filter database. The above link that will take you to Australia’s most comprehensive and user friendly way to find your ideal playground equipment. Simply use our dynamic filter to filter out your search results by the size of the area you have, age group, price range, type of equipment you are after or any theme you desire. Or simply browse Australia’s largest database of playground equipment and hopefully you can find what you’re looking for. If you cannot find your ideal playground design than simply contact us for a one on one consultant to custom design your playground equipment to suit you and your needs! From Melbourne, Sydney, Brisbane and Adelaide to Perth and Darwin. 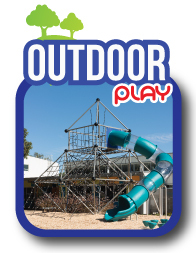 We are your one stop playground equipment supplier servicing all states Australia wide! If you cannot find your ideal playground equipment on our filter and are still looking for the right design than why not check out our catalogues. Visit our comprehensive playground equipment catalogue section. We have all types of catalogues from outdoor playground equipment including standalone fitness equipment to indoor soft play playgrounds and street furniture. Price lists are available upon request or alternatively contact us for your very own log in to our design filter and see all of our prices displayed on the website. Don’t forget to check out our new indoor, outdoor playground and fitness equipment photo, video and media gallery section. The gallery showcases real photos and videos of our equipment installed in every part of Australia. The media gallery is a user friendly interactive section of our website where you can view our designs at full screen, zoom in for more detailed views of our components and the entire gallery is categorized for easy finding. Feel free to check out some of our fantastic quality playground equipment components and see for yourself what your new playground will look like in real life! You can also check out our Completed Works section which shows the location and photos of all of equipment installed around Australia on a user friendly map. Haven’t found what you’re looking for yet in any of our playground equipment range? Then simply contact us for more information, specifications and pricing. We can also custom design any playground equipment to suit your desired budget, theme, colour or size restrictions. We supply and install of our playground and fitness equipment Australia wide so your location is not an issue. Call, email or fill out the contact form and we will get back to your enquiry shortly. Imagination Play strive for quality and durability with our outdoor playground equipment. We use thick UV stabilized plastics to ensure a safe and robust build of our equipment is being used throughout our entire outdoor range, especially on slides and plastic safety panels. Our cast aluminum or optional steel posts for outdoor standard playground equipment range including hardware clamps and other equipment with powder coating and galvanizing means you are buying the highest quality of outdoor playground equipment with the best quality rust proofing materials used. We have professional 3D playground equipment designers in house, full time, waiting to design your exciting new equipment so why not take a look around and see some of our existing designs or just contact us anytime for a sales consultant to visit your site free of charge for a custom built design. Would you like to know how to design your own equipment? Then have a look at this section which has handy downloadable documents and information on how to design any of our playground equipment. Soft fall around your playground equipment is a critical factor to consider when looking at purchasing any of our range. As a general rule we like to keep 2.5m around the entire playground as per school recommendations. However we understand that some areas are restricted which is why you can download our soft fall chart to determine your exact fall zone required as per Australian Standards for all of our playground equipment. Safety is our number one concern when purchasing playground equipment from Imagination Play! If you are looking at purchasing outdoor playground equipment for your school, open space or commercial business, please ensure your supplier meets or exceeds the following criteria based on our standard 114mm playground system. Below is the Imagination Play standard. 114mm diameter round tube posts, with a wall thickness of 2.5mm in your choice of galvanized steel or aluminum. Benefit: Our round posts are not only aesthetically more pleasing than square posts, but are manufactured to a high quality to allow them to handle Australia’s harsh environments, whether it be inland or coastal. Ultra high temperature polyester thermoplastic powder coating at 0.08 to 0.13mm thickness certified lead free. Benefit: Lead is a poisonous metal that can be harmful to humans as well as being toxic to the environment. Four part cast alloy clamp system. Can also adjust overhead heights on site anytime. Benefit: A clamping system allows immediate adjustments to equipment height without the need for drilling holes, which can create rust in unpainted galvanised materials. All bolts and hardware are 304HC grade stainless steel. Benefit: Stainless Steel 304HC hardware is highly resistant to even the harshest atmospheric corrosion environments. All exposed fixings to be button head security Torx bolts and free from sharp edges. Benefit: Our button head bolts are actually security Torx bolts which are smooth to touch and also eliminate vandalism and theft of components. They are legally required as per AS4685.1-2004. All rope is abrasion resistant polyester braided over galvanized carbon steel wire. Benefit: Abrasion resistant means longer lasting without the worry of rope breaking. This is heavily reinforced with the carbon steel wire core. Plastic LLDPE rotation, blow moulds and HDPE are UV stabilized and certified lead free. Benefit: protect the substance from the long-term degradation effects from light, most frequently ultraviolet radiation. Our 1.2m2 decks and modular playground equipment means that our equipment is 44% larger than most of our competitors. Benefit: Larger equipment means more bang for your buck. It also means wider areas for children to move through and caters for wheelchair users on suitably designed play space configurations. 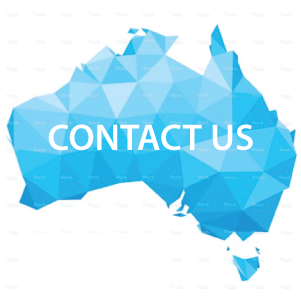 Do your components and designs meet or exceed current Australian Standards AS 4685 Parts 1 to 6 including 4685.1 2004 amdt 1, 4685.2 2004 amdt 1, 4685.3 2004 amdt1, 4685.5 2004 amdt 1? What is the diameter of your posts? What is the wall thickness? Do you provide galvanised and aluminum varieties? What is the thickness of your powder coating and is it certified lead free? How does your equipment x to the posts? Can equipment be height adjusted later on? What type of material are your bolts and hardware made from? Are your fixings child friendly and security theft proof? Are your rope products abrasion resistant? Does your rope have steel wire core? If so, how many cores? Are your LLDPE and HDPE plastics UV stabilised? What size are your decks? Is your playground system a modular design? Is it wide enough for equal access? COLUMNS: Our standard playground equipment range has 114mm galvanised tube grade 300 with a wall thickness of 2.5mm and an internal diameter of 109mm. Round posts and alloy clamps give our designs a premium look whilst providing a smooth edge reducing head clash injury. Individual clamps give flexibility to adjust heights for overhead playground equipment items such as monkey bars and track rides. Clamps mean no drilling of posts which compromises powder coating and increases the risk of rusting. locked rated to 350kg. Two accessory mounting clamps rated at 280kg. No onsite drilling required into the playground equipment meaning minimal rust and long lasting. DECKS: Our standard playground equipment range comprises of grade 300 folded steel plate perforated top thickness of 3mm. PVC rubber dipped twice to achieve 4mm coverage. Cross section reinforced total Weight of 57kg. All decking and stairs are made from reinforced steel framework and include a hammer finish coating. ROTOMOULDED PLASTICS: LLDPE – Low density polyethylene rotationaly moulded to weight specification. Thick rotomoulded slides on all of our playground equipment range. Our plastics are one piece moulds eliminating any gap entrapment’s. BLOW MOULDED PLASTICS: LLDPE – Low density polyethylene injection blow moulded for even coverage to weight specification. no air spots inside plastics meaning strong all round playground components. FLAT PANEL EXTRUDED PLASTICS: HDPE – High density extruded polyethylene single colour or bonded two colour panels. Routed to shade and design specification and buit tough. STEEL COATING: Polyester thermoplastic powder applied at temperature to a coverage of 0.08 to 0.13mm. Thick powder coating means stronger coverage from damage and rust. HARDWARE: All bolt and steel fixings except wire rope are 304 grade stainless steel. Exposed fixings are button head and free from sharp edges. All fixing bolts are premium grade stainless steel increasing life span and reducing maintenance. Every fixing is supplied with a spring washer and friction washer to reduce the risk of fixings winding out and becoming loose on your equipment. ROPE: Abrasion resistant polyester braided over galvanized carbon steel wire. CARE: We care about our products, we care about the safety of our products and ensure it all meets or exceeds current Australian Standards. We ensure you have the best quality available at an affordable price and an outstanding customer service! TIME TO START LOOKING AT OUR VAST RANGE OF PLAYGROUND EQUIPMENT? Imagination Play always use local contractors where possible for our playground equipment installation. 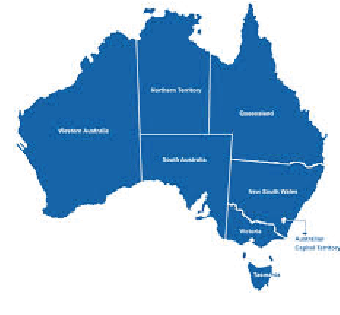 We service all states in Australia including Melbourne, Sydney, Brisbane, Adelaide, Darwin and Perth. Live in a remote location? No problem, Imagination Play have supplied and installed in every corner of Australia! We can also provide smaller configurations of playground equipment for tight areas and budgets. Feel free to try our playground equipment filter and filter your results on smaller areas or smaller budgets. Imagination Play has now released our latest outdoor playground equipment catalogue comprising of over 30 new fresh designs that comply to Australian Standards, full components list and updated designs on the latest Australian Standards guidelines. Feel free to download our latest catalogue today or contact us for a hard copy sent to your doorstep within the next business day. Imagination Play are proud to announce the latest edition to our ever growing range of play equipment being our Rope playground equipment. 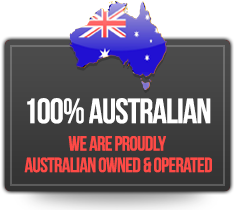 Australia’s most safe, reliable, durable and attractive rope equipment! DX-Rope is one of the worlds finest quality. With 144 strands of galvanised steel, woven inside a unique nylon covering makes DX-Rope the most unique product in the world. The DX-Rope engineers have created the safest, longest lasting, most attractive cabling in the playground industry. Using their proprietary technology, the engineers have infused the beautiful nylon cable coatings with UV protectants and flame retardant solutions in the extrusion process. The engineers use these vibrant threads to weave a braid around 144 strands of galvanized steel to produce the play structure rope. This unique rope playground equipment process keeps the ropes beautiful to see, soft to touch and stronger than any other cabling available in Australia. The vibrant colors of our rope playground equipment will immediately appeal to children of all ages, but the ropes will also feel just as good to touch. A class 8 UV Colorfastness rating keeps the rope equipment looking new and the special nylon formula and unique weaving of threads means that DX compound ropes are resistant to fading, wearing and fraying for years. The sky really is the limit of high to build our giant towers! Imagination Play at It’s finest. It doesn’t matter if the children are superheroes, crews on a spaceship or mountain climbers, Our Rope playground’s ultra modern Net Climbers continue to revolutionize the look of playscapes across all parts of Australia. From the Super Mini to the Courtyard, Our Rope equipment range has a host of Net Climbers suited to every imagination. 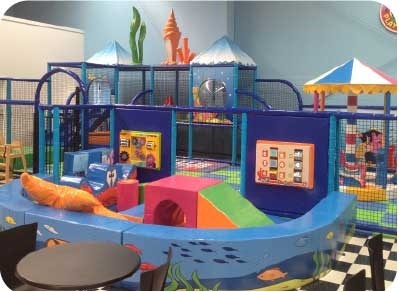 All of our indoor playground equipment is made up of a modular framework. This makes it very easy to create a maze of playing fun “cubes” with exciting accessories, slides, tubes, challenging obstacles and interactive components. All pathways in our equipment can meet up again eliminating dead ends and of course with strong emphasis on fire egress. Have a look at the indoor playground design on the left. You can see how there are dozens of walkways but the entire design can be all put in a square or rectangular area. This is perfect for tight spaces or restricted areas in maximising the available space. Imagination Play hand stitch all of our safety netting so if any part of the net fails then the next knot is only 40mm away so children can not fall out of the indoor playing area. We have many other designs on our dedicated indoor website page with a vast range of spare parts and required specifications to meet and exceed the new Australian Standards that are now in force since April 2013. It’s also a great source of information regarding what you need and how to start a play centre including how to run a successful indoor play centre business. We use a Tuffskin foam pads to wrap around all of our galvanised metal frame work on the playground equipment. Other suppliers sell this foam but many do not supply the foam with a molded plastic cover over to stop kids pulling and ripping apart the foam. This can be a regular maintenance nightmare with indoor play centre owners which can become quite costly over time. All of our soft play playground equipment comes with durable Tuffskin foam pads and vinyl covered platforms to ensure safety is met at all times. If you would like us to design up a custom made playground equipment for your area than contact us anytime. 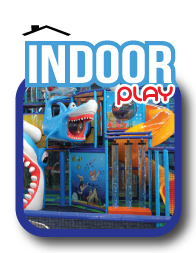 All Imagination Play indoor playground structures since April 2013 are supplied using 3.25mm steel wall thickness and TUV certified tube clamps to adhere to AS3533.4.2 April 2013. Please note that there are new Australian Standards currently in place for indoor playground equipment (AS3533 4.2 Contained Play Facilities). This is now in force and applies across Australia from new playground equipment supplied to existing indoor play centres so please ensure your centre is kept up to date and above all, safe! At Imagination Play we are proud to conform to the new standards for safer play so please contact us anytime for new or existing equipment that may need to be upgraded with the current Australian Standards. A certificate of compliance will be issued on all new playground equipment structures installed by Imagination Play, so please ensure your next supplier does the same otherwise you and the children will be at risk. r slip or crack. Standard grid sizes for our indoor structures are 1.22m x 1.22m or 1.488 square metres. Larger decks mean more space when kids cross paths within the structure. Compared to a 1.0m grid system used by other companies our system has 48% more user egress space available. This playground slide is unique in that the slide is made from single slide sections which bolt together snugly to form the slide. Each section is two slides wide and rises a height of 1.2m. This gives you the option of including one, two or three lanes wide. In fact, you could make as many lanes wide as required. The sides are bolted in separately and provide a safe guide keeping the user in control. Deck heights available are 2.4m high 3.6m high or 4.8m high and so on. The flexibility of this slide makes it a winner over other brands. EVA flooring is available as a soft clean surface for indoor play structures. This material is a high density foam product that clips together to form a soft floor surface. Should any damage occur to the floor surface, you can easily repair by UN-clipping one panel and replacing with another. The repaired surface is just like new and can be self installed very quickly. If damage occurs to surfaces such as industrial carpet, a patch is required which is unsightly and requires professional installation. Other items such as flexible tunnels, flexible bridges and trampolines are made using nylon seat strap material which is rated and triple stitched. Fixings are zinc plated or stainless steel. Since April 2013 there is a new Australian standards in place for indoor playground equipment (AS3533.4.2 April). There are still many indoor playground companies supplying equipment that do not meet AS3533.4.2. Please ensure you read the below carefully, this is the Imagination Play standard of products and installation which does not only meet AS3533.4.2 but exceeds it. Please ensure your next indoor playground equipment meets or exceeds the below questions. Click on the video below to watch our comprehensive indoor playground equipment safety standards instructional video. All components and designs meet or exceed current Australian Standards AS3533.4.2-2013. Steel framing wall thickness is 3.25mm to meet and exceed AS3533.4.2-2013 new structural integrity rulings. Benefit: Imagination Play uses 3.25mm wall thickness steel framing throughout our entire structures. This is generally 33% thicker than our competitors and fully meets AS3533.4.2-2013 new structural integrity rulings. Rest assured, our steel framing is above and beyond the Australian Safety Standards requirements, giving you peace of mind that our structures are safe and secure. We use European TUV certified structural integrity certificates. Benefit: Generally, our competitors are using un-tested and un-certified clamp systems that cannot comply with AS3533.4.2-2013 new structural integrity rulings. Large 1.48m2 decks for better ow of children and more space. Benefit: Larger equipment means more bang for your buck. It also means wider areas for children to move through which can reduce collisions and alleviates congestion. Skin foam pads last twice as long as regular foam and minimizes vandalism. ff Skin foam pads have a tough layer of PVC covering the foam that prevents children from biting and picking at the foam pads. Colours also look much better and stay much brighter for a lot longer, reducing replacement costs. Our nets are hand stitched to the frame work. x the netting to the frame work. Through our in house testing, we have found this cable tying method to consistently fail AS3533.4.2-2013 test methods. Follow up service and maintenance service. Benefit: Your mind is at ease knowing that help is just a phone call away. We understand that play centres need to be functional and operational at all times, and we are here to help keep you up and running. We provide advice, full maintenance services and part replacements. We won’t leave you stranded! Do your components and designs meet or exceed current Australian Standards AS3533.4.2-2013? What is the thickness of your steel framing? Has your clamping system been structurally TUV certified? What is the size of your deck system? What type of foam padding do you use? 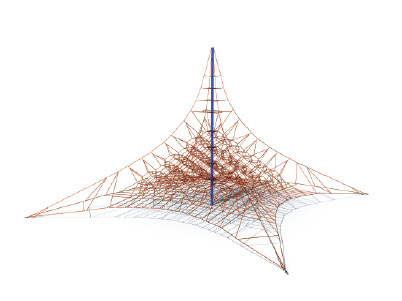 How do you attach the netting and does it pass the the testing method as per AS3533.4.2-2013? Do you provide a follow up technical service and/or a maintenance service? Imagination Play can supply and install our entire range of playground equipment in all states of Australia. In fact we can also install in our neighbouring areas such as New Zealand and the entire North and East Oceania. Imagination Play have built an exciting user friendly way to find your perfect playground equipment using the playground filter. We have over 1100 existing designs on the database with easy to use filtering functions so you can find your ideal equipment with a press of the button. You can easily filter the database to show playground designs which are suited to your area size, your budget, theme, height or any keyword searching. Below is a demonstration on how to use the main functions of the filter. First off you will need a log in to see our prices. Please contact us for your own unique log in and start filtering! 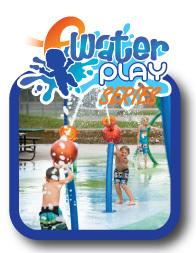 Age Group: Filter the playground equipment designs based on specific age groups. Generally you would select “All age groups” and use more of the prominent filters explained below. Price Range: A handy feature to use if you have a certain budget to stick with. Filter all of our playground equipment designs based on certain price types. Please note that this is the supply price of the playground itself. Contact our friendly staff for exact costs if installation and delivery is required. Category: Filter the results based on their category such as Indoor or outdoor playground equipment, equal access, swing sets, etc. This is one of the most popular features of the playground filter to sort the results by the brand or type of equipment you are looking for. 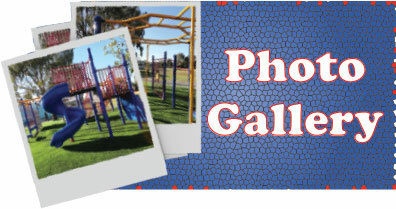 Theme: Filter the results based on the theme of the playground equipment such as Castle theme, traditional theme or even our most popular Pirate Ship theme. Max Area Available: This feature is the most effective filtering method available. If you have a certain area size then simply enter the dimensions here to filter out any playground equipment designs that require a larger area then you have allocated. 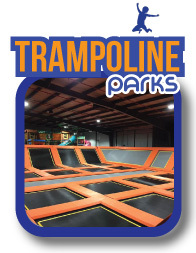 The website will show results that fit perfectly into your proposed area including the required soft fall of the equipment as explained above..
Max Height: Have a height restriction? Feel free to enter the restriction into this section for designs lower than specified. Hope this email finds you well, at this stage the units are getting used on a daily basis as well as with gym staff running training sessions using them regularly during the sessions. At this stage we have had no issues with them whatsoever. The John James Foundation would like to sincerely thank you for your sponsorship of John James Village, Canberra’s home -away-from -home for blood cancer patients. The John James Foundation is proud that all of your contributions goes directly to the Village, and that your support will change the lives of people in the community for many, many years to come. Your donation ensures that the John James Village in Garran can provide free accommodation and support services for patients, their family, and carers, who are treated at the Canberra Hospital, in their time of need, for as long as is required. Your sponsorship will be recognised on the donor wall in the Village administration building. Donor recognition is made from timber cells, highlighting the connected nature of community, and your valued involvement in the project. The support that you have given ensures the sustainability of the John James Village, and will make a difference to the lives of many individuals and families relying on the Village. Thank you again for your support. This project would not have been possible without your assistance. “We put up the playground equipment in the school holidays and it has been a great “hit”. It is now a challenge for Mum’s to leave the pre school at the end of the day as their child/children and their younger siblings want to stay and play on the equipment. The men (pre school Dad’s) that put the structure together found it easy to follow and construct. The photo attached is the completion day before the soft fall was replaced. Community people have commented that our pre school looks bright, colourful and inviting as they drive past. Lockhart Pre School Kindergarten Inc.
Our school has just installed an Imaginationplay playground for our Year 4, 5 and 6 students. Though they had us hooked from first sight of their online magazine, the whole process from selection to installment was comprehensive and collaborative. We were impressed with the quality of the company’s product and the efficiency with which they were able to organise installation in our remote community. Our school utilised Imagination Play when we were considering our options for the building of a new play structure. We were able to use the website to view the options that fitted both our needs and our proposed budget. Once we had decided on a design the team at Imagination Play were extremely helpful in assisting us with plans, colour schemes and equipment options. They also changed aspects of the design and layout to fit our requests, until we were happy with the final proposal. Imagination Play coordinated the entire project from design to the build and we have been extremely happy with the final result. To date, the work provided by the Imagination Play team on our new playground equipment has been oustanding. They have listened to the challenges and concept we have and have designed a plan to meet our needs. They have been most accommodating to changes and have worked quickly with us to ensure deadlines are met. 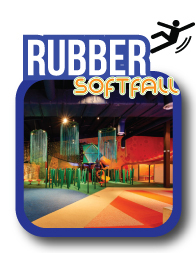 I would like to say a huge thank you for your assistance in planning and installing our new indoor soft play centre. You and your team have been extremely helpful every step of the way and our new “Jungle Jive” is surprising and delighting the kids every single day. I was particularly impressed with the instillation guys who went above and beyond to make sure that the structure was safe and met all our expectations. I would highly recommend Imagination Play to anyone wishing to add a “wow factor” for kids at a reasonable price. The product is sturdy, the service is excellent and any problems were sorted out immediately. Two thumbs up for Imagination Play! We cannot recommend the team at Imagination Play enough. The experience dealing with such a professional organisation was second to none, from ordering to installation was a breeze, delivered on time and on budget. Nothing was too much trouble, it is hard to find organisations like Imagination Play who are so dedicated and committed to customer service, all of their employees strived to deliver what we wanted. The quality of their product and installation is streets ahead of their closest competition, “ Why deal with the rest when you can deal with the best”. What Now is New Zealand’s longest running family television program having been on air for over 30 years. For the 2015 season we looked to create a unique set design: working with Imagination Play from the initial stages of design to currently about to assemble, we have appreciated their ‘can do’ attitude and negotiations on ‘out there’ ideas. Their staff are efficient, personable and have a sense of humour – which is appreciated. See below our TV show with the indoor playground equipment. We are thrilled with the indoor playground equipment supplied and installed at our park by Imagination Play. Robyn designed the playground – equipment, colour scheme and theme. She was more than happy to work with our ideas and make positive comments on our suggestions. Dave organised the installation and when we later asked for a couple of alterations he willingly organised for this to happen. The facility has been a huge success and has been well utilised by guests to our park –the quality of the equipment is excellent. All in all it was a seamless process and we would highly recommend any company considering an indoor play facility to contact Robyn at Imagination Play. Their service has been exceptional both during the planning and the installation and after. `Loddon Prison Precinct is very pleased with the quality of equipment purchased and installed from Imagination Play. Since we have installed the equipment, it has been constantly used by the men on a daily basis without any issues or damage. Considering we have some men of considerable weight and size, I have been pleased with the reliability of the products. We will certainly look to make further purchases from your company in the future when the need arises”. Your product (correctional centre gym equipment) has been risk assessed and does suit Corrective Services NSW standards. Corrective Services is currently performing multiple works state-wide where your product has been identified as a component of these works’. Now that the dust has settled and everything is squared away, I just wanted to reach out to once again say thanks. For both the exceptional work that you did. I know you’ll both understand how important this was to a new business like ours at the time. Anyway I’m guessing its more often you’re asked, than you are thanked after the fact; so thank you. If you ever need a customer reference of any sort (or want to use this), please feel free to contact us. We’ll keep in touch in the event anything eventuates for Supatramp in the future which we may be able to partner with Imagination Play once again. Imagination Play have friendly sales agents located in every capital city of Australia. Click the links above to see what location some of our agents are in. Feel free to contact us and arrange an on site meeting with one of our local playground representative’s to discuss your options and help design your custom playground equipment today!